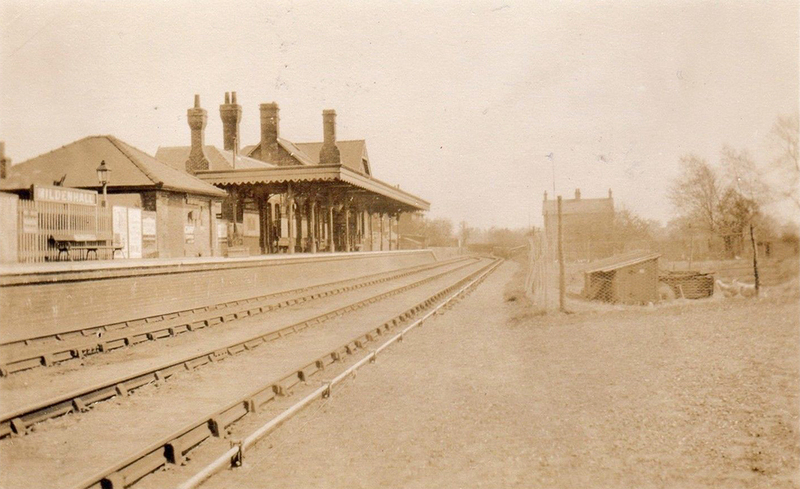 This cache celebrates Mildenhall station on the Cambridge to Mildenhall line (Great Eastern Railway) and is a clip-top box hidden next to a public footpath from which there is an excellent view of the original station buildings and platform. 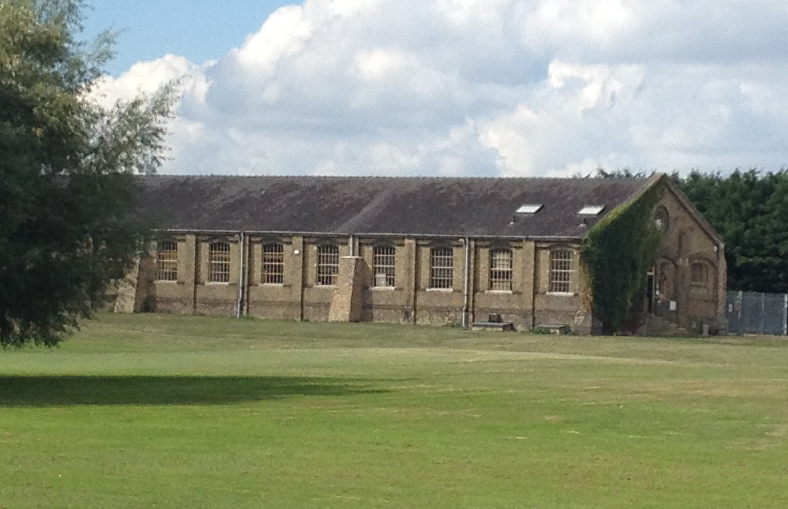 Although the station no longer functions, the main station building and platform remain, but are now on private land. 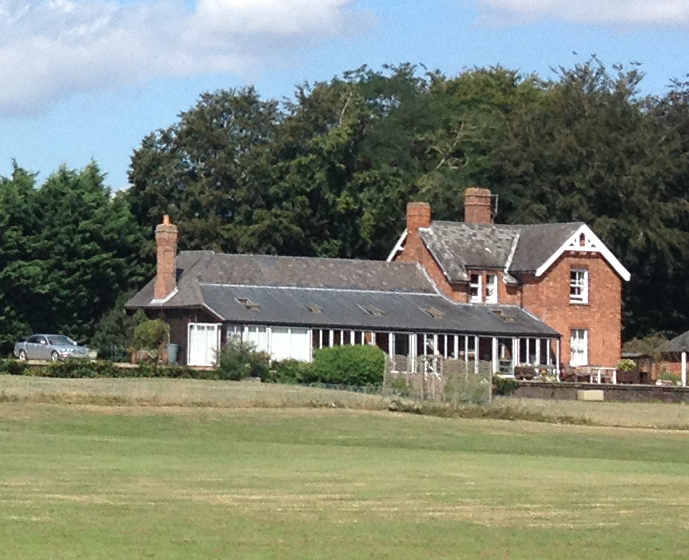 Compare a fairly recent aerial view and an old OS map of c.1904. The circular feature in both shows the position of the turntable used at the terminus of the branch line to turn the engines round. 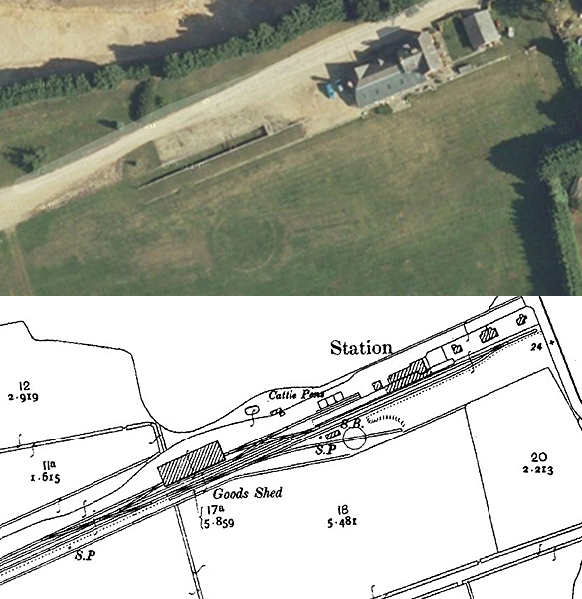 This image shows the large goods shed at the Western end of the station which is largely unaltered on the outside except for the filling in of the railway openings. 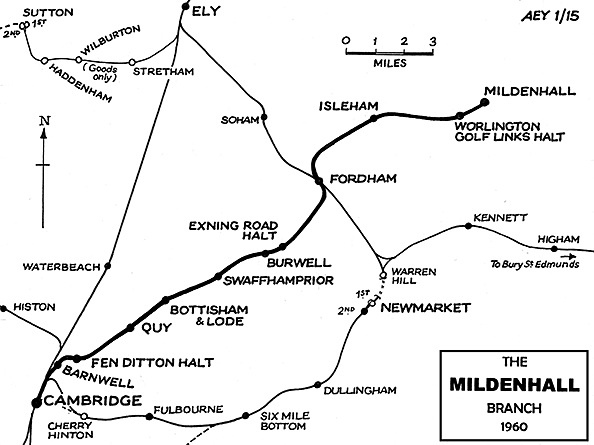 If you have logged ALL 12 of the SideTracked caches on the Cambridge-to-Mildenhall branch line, award yourself this souvenir badge for your profile (instructions below). 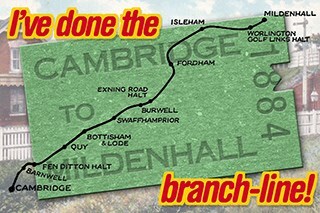 The branch-line caches are listed bellow. To earn the badge you can log them in any order and take as much or as little time as you like. 1. Go to your Public Profile. Vafvqr ubyybj gerr, haqre pnzb.